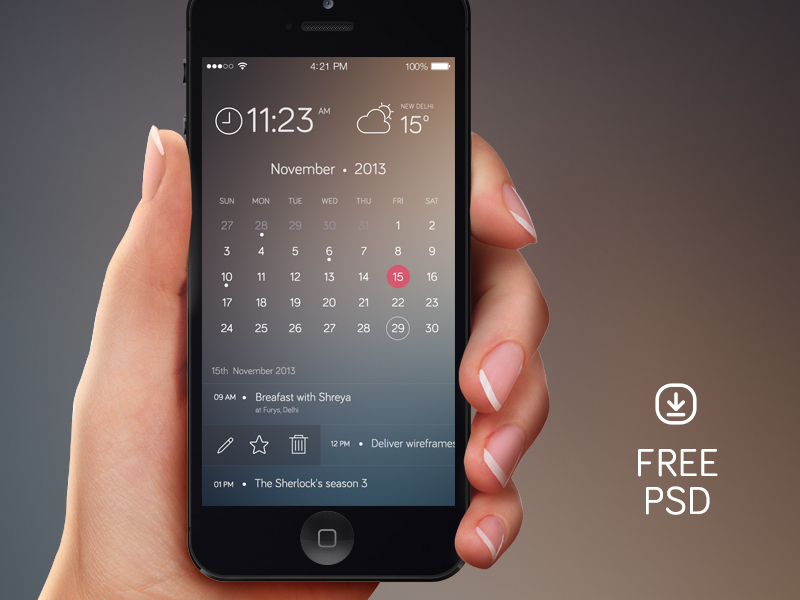 Have a good day with this Free iPhone Calendar PSD Template we bring you today! It includes both clock and weather widget. This is an amazing design by sumit chakraborty.